A kid’s magic show with a “wow” factor. Every child gets to perform a trick. The birthday boy or girl is the star of the show. After the show, enjoy a balloon contest. Every child gets a modeled balloon. Birthday kids receive a special balloon. The contest means no queuing, just fun! Funny magician Dublin and Kildare. Older kids love the juggling. Younger kids love all the goofy magic tricks. Jack has performed at the White House and Leinster House. This show is very original and will entertain all ages. Jack is a Dublin magician for birthday parties. Jack also entertains in Kildare. Jack has appeared on RTE. He was pictured in Life Magazine. He appeared on “Good Morning America”. He was part of a CBS TV Special. Jack has been in The Irish Times and in The Irish Independent. See Jack in his stage show “Jackula”. As Dracula’s bumbling younger brother, Jackula is on a quest to become the world’s first fun vampire. See highlights at youtube/jackula. You can also find out Jackula at facebook-jackula. Magician Dublin. Magician Kildare. Magician anywhere. Birthday party entertainment for kids of all ages. Laugh and smile as kids make things appear and disappear. Children dance around in Waffles mini-disco and party games. Great fun for the whole family. Waffles finishes her children’s magic show by making lollipops appear. All the kids get a modeled balloon. Your child is in the center of it all. Waffles has performed at the Aras for President Higgins. Over 10 year’s experience as a children’s entertainer. Waffles will make your party a success. Waffles performs as a Dublin magician for birthday parties. Waffles also entertains children in Kildare. 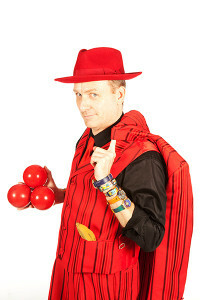 Children’s entertainer Dublin for birthday parties. Children’s entertainer Dublin for communions and christenings. Making your party special is what it’s all about. Magician Dublin. Magician Kildare. Children’s entertainer Dublin for school shows. Magician for birthday parties. Magician for corporate events. Amazing children’s entertainment.